← School Council January 15, 2015 – 7 p.m.
What are you learning? What are you thinking? At our staff meeting last week, I asked our staff to bring a question to the forefront in the work we do each day with our students: what are you learning? It is a question we will ask our learners and one we encourage you ask your children as well. This question is different than “what are you doing?” (or “what did you do today at school”?). We are committing to supporting children in identifying what they are learning and why; one way we do this is through Learning Goals. Staff can identify a learning goal at various stages of learning for students. Helping students to make their thinking visible is also important for them to articulate what they are learning. Students can make their thinking visible through conversations with us and through “products” that they create. At school, we also use observations of students working to help inform us of our next steps as educators. 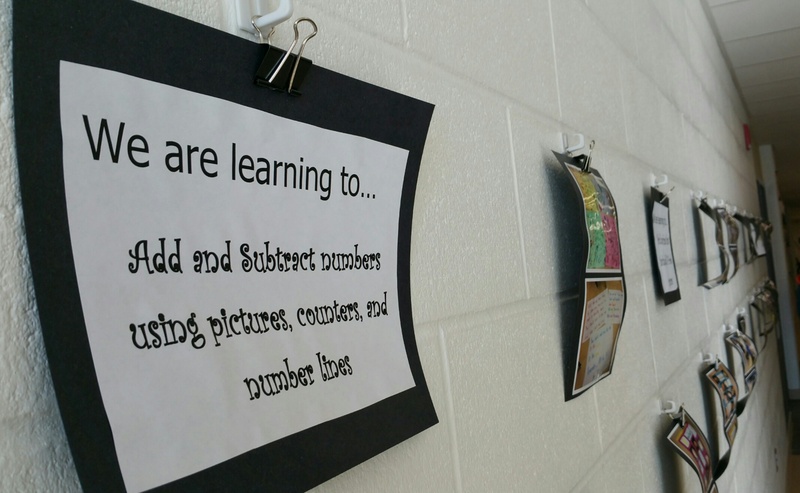 This week, it is wonderful to see different examples of how students are making their thinking visible in our classrooms and articulating what they are learning, and why. Sometimes, we can think that young children may not be able to communicate what they are thinking or learning easily. However, our learners are showing us that they are, indeed, quite capable. Here are just a few examples of how students themselves are making their thinking visible at our school. 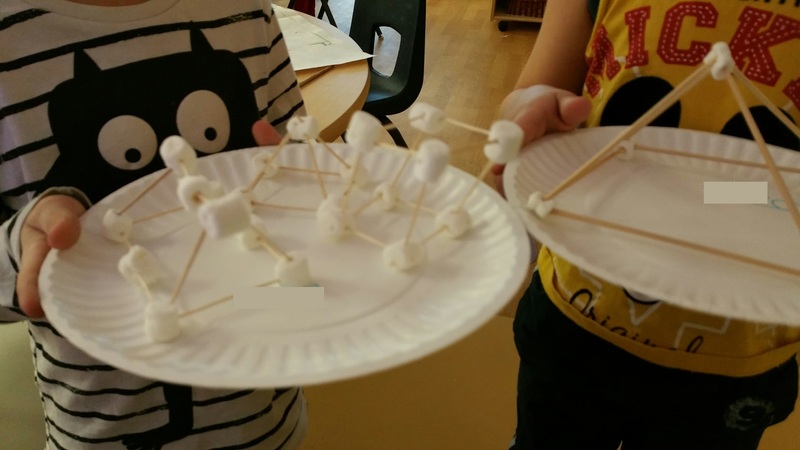 In one class, JK and SK learners shared how they created 3 dimensional shapes and compared designs through the shapes characteristics of faces, edges and vertices. In this conversation, the prompt “tell me about…” allowed students to share. A follow up question “how is this shape different that this one?” prompted students to go deeper with their thinking and sharing. The mathematics behind the activity is quite complex (in fact there are concepts these learners were exploring that can be found in grade 3 and beyond) however through the talk, they were able to share what they had explored, considered and reflected upon. Our grade one classes have been exploring questions where they have to form an opinion where two perspectives can exist. They must determine their opinion and offer a rationale for their answer. The class explored the question “is it important to change your shoes before you go outside?” why or why not? This class had a discussion about the different perspectives and then captured their thinking as a class. Asking children “why?” is one way to help them expand their thinking. 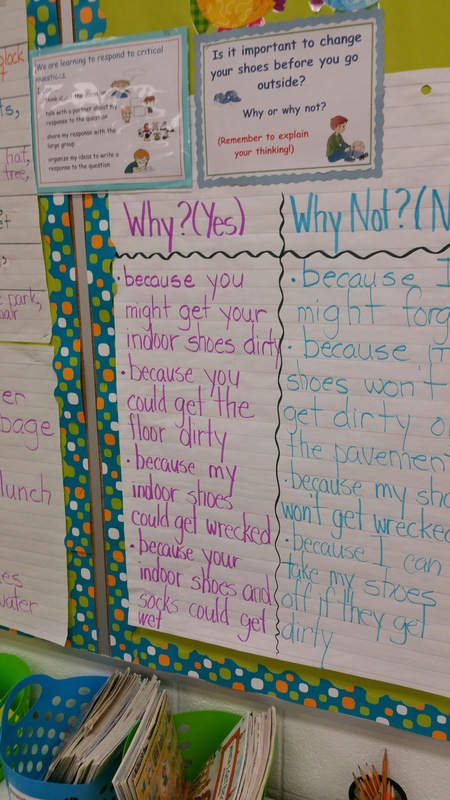 Prompting questions can also help students make their thinking visible. 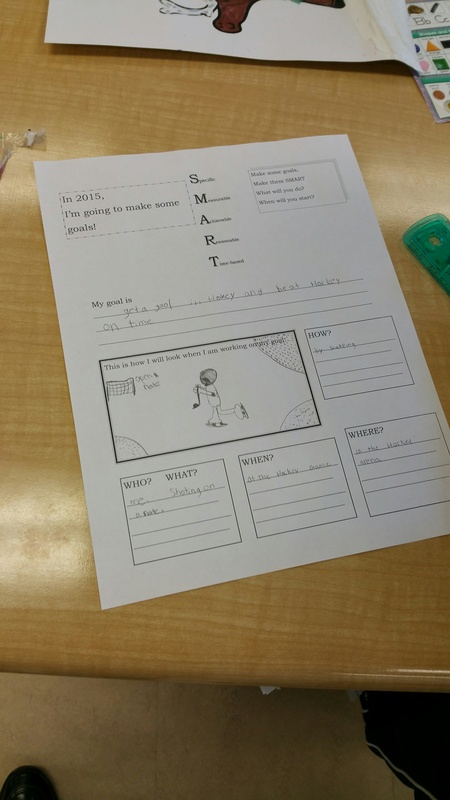 In this example, grade two students developed SMART (Specific, Measurable, Achievable, Reasonable and Time based) Goals upon returning in the new year. Students worked through these goals by thinking about themselves in relation to the goal they developed. This is an example of a “product” that students captured students’ thinking in addition to opportunities for students to conference about their work in class. Thinking happens across the curriculum. 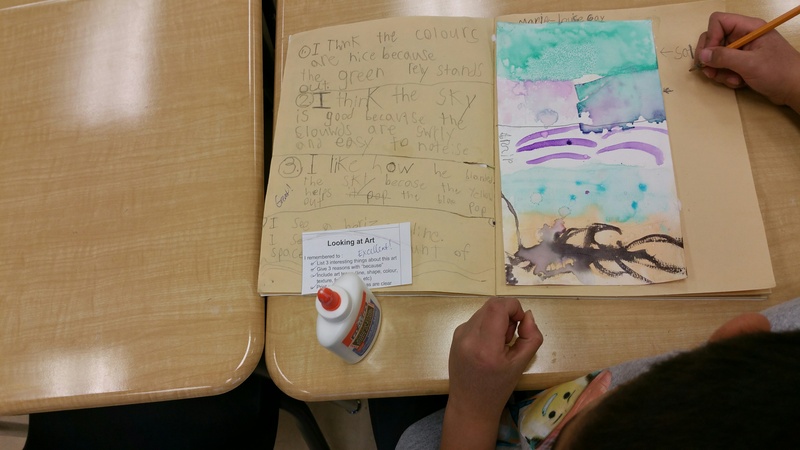 Here, grade 3 students reflect on their own art, and the art of others, and offer feedback on what they like and why. You will notice in this student’s notebook, there is also “Success Criteria” listed that students can refer to. When we develop Learning Goals, we also develop Success Criteria that helps students know what to do in order to be successful in achieving the goal. Thus, students can learn to think in different contexts throughout the day. It is important to note that even if a child cannot verbally communicate his or her thinking doesn’t mean s/he still cannot make that thinking visible. 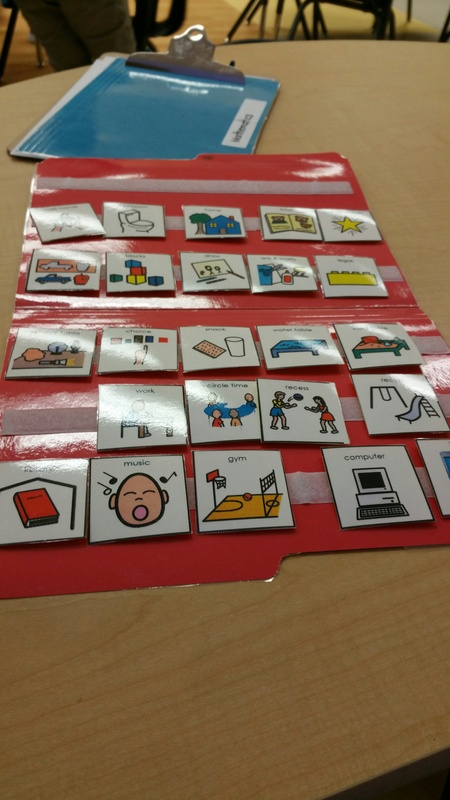 This is an example of a communication tool that some of our students use where pictures with words on them help students to communicate thinking. The tools are also used to communicate to a student such as a First/Then board. It is a way we can differentiate our approach to support all of our learners in their communication skills. Two questions you can also ask your child at home in the coming months. This entry was posted in Family and Community Engagement, Full Day Kindergarten, Learning Goals, Success Criteria, Thinking. Bookmark the permalink.